1. Make a wreath. If you’re feeling crafty, whip out the glue gun and some plastic leaves to create a beautiful fall wreath for your front door. If arts and crafts aren’t up your alley, scour some local stores to see if you can find a wreath within your budget. 2. Get local pumpkins. 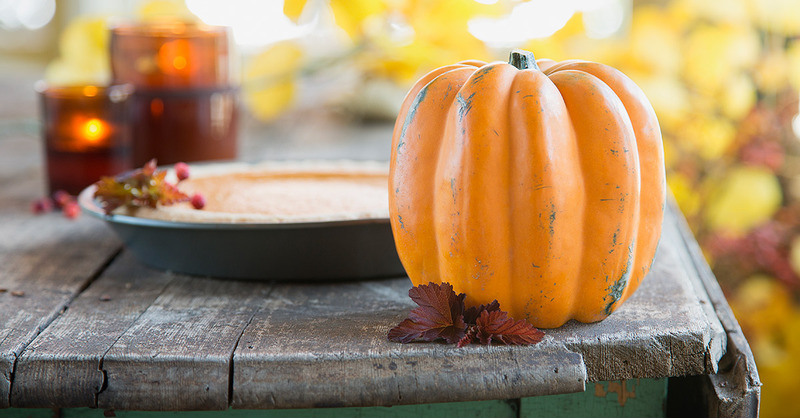 It’s hard to celebrate the arrival of fall without some classic pumpkins. Make a day of visiting a local pumpkin patch and bring home a handful of souvenirs. Just make sure to set a budget so you don’t end up buying a trunk full of pumpkins! 3. Collect from nature. Gathering pinecones is a family-friendly activity that can double as an easy, free way to stock up on fall decorations for your home. If pinecones aren’t an option, you can also collect tree limbs or acorns. If all else fails, grab some fallen leaves and turn them into art displays! 4. Buy faux decorations. Local hobby stores—and most thrift stores—often carry faux leaf garlands, plastic pumpkins and ceramic gourds. Save yourself money in the long run by purchasing these decorations and using them year after year. 5. Swap out your pillowcases. You don’t need to buy brand-new pillows to give your home that festive fall look. Instead, rummage through your local thrift stores to find pillowcases that fit the season. When autumn is over, all you have to do is swap the pillowcases out again. 6. Display blankets. Fall brings cooler weather, which means it’s time to break out the blankets. Can you say cozy? Even if you don’t use all the blankets, having them displayed in main living areas can make your home instantly feel more festive. 7. Buy cinnamon brooms. If you want to make your house smell more like autumn without spending your whole paycheck on fancy scented candles, decorate the prominent areas of your home with cinnamon brooms. 8. Decorate with baskets. Nothing says fall like a basket full of crisp red apples or small gourds from your local grocery store. It makes your space look warm and inviting—and should only cost you a few dollars! Don’t be afraid to get creative and work with the pieces you already have. Sometimes even moving a few pillows from one room to another is all you need to give your home a little autumn spruce. And if you’re feeling bold, roll up your sleeves, channel your inner artist, and dive into these DIY fall decorations! If you want to kick your savings into high gear, sign up for EveryDollar today! It’s free, is easy to set up, and can help you focus your money on what really matters.